Wood/Patel provided construction administration and inspection services for the construction phase of this project. 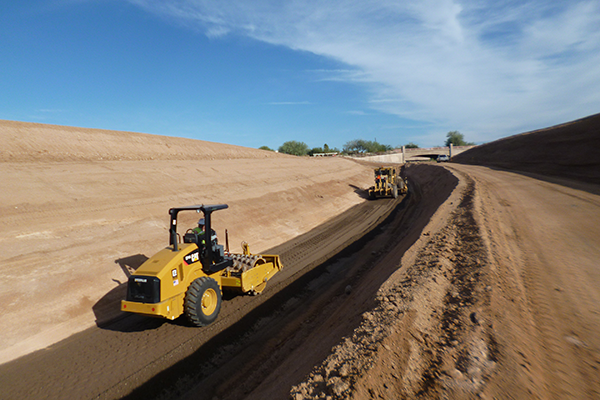 Improvements consisted of the realignment and reconstruction of Rawhide Wash from Pinnacle Peak Road to Scottsdale Road, including major earthwork, soil-cement bank protection, gabion basket erosion protection, multi-use trails, maintenance roads, and extensive landscape improvements. 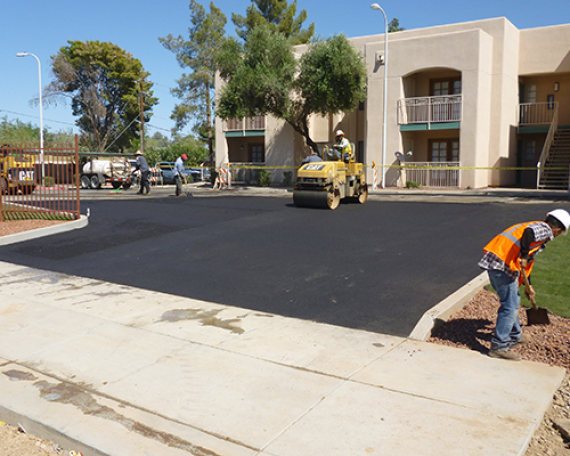 Wood/Patel provided services including communication and coordination with both the contractor and the City of Scottsdale. Several permits from the City were required for construction, including a stockpile permit, landscaping permit, haul permit, and permit for the on-site soil-cement batch plant. Wood/Patel’s Inspector was on site daily to monitor and enforce all requirements of the contract documents, which refer to MAG Standard Specifications and Details. Special attention was devoted to the soil-cement strength requirements, backfill compaction requirements, and the gabion basket construction methods.